Lukkien develops several television commercials for Beter Bed in the most efficient way. Beter Bed comes launches a new international campaign about the importance of a good mattress. Special about this campaign is that Lukkien used a unique way for producing the television commercials that will be used in the Netherlands and other European countries. All commercials are made in a 3D environment. 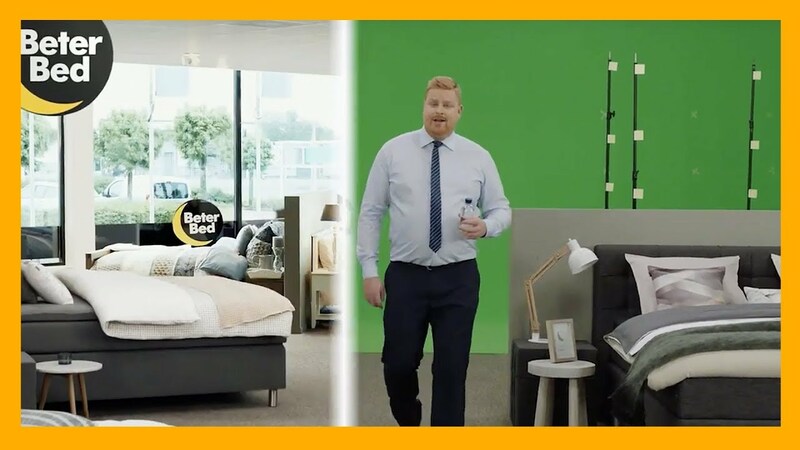 CEO Bouke Lukkien: "In this campaign it seems that we have filmed in several Beter Bed stores in the Netherlands and abroad, while all of these stores are simulated in one single 3D environment. Our visual effects experts have processed the base material so Beter Bed can use it for other countries or new campaigns. " Beter Bed was already using this technique, because this way of producing TV commercials reduces the pressure on the retail organization. Another advantage is that POS material is easier to create in the same style. Everything can be digitally processed. Commissioned by Beyen Meyer, Lukkien produced several TV commercials for Beter Bed using this new approach. Currently, Beter Bed Spain, Sweden and the Netherlands are using the new commercial. The new campaign of Beter Bed explains why you should replace your mattress every 8 years because of dust mites and moisture that's lost overnight. Every TV spot ends with a concrete offer.